Intergroup contact remains one of the most effective means to reduce prejudice and conflict between groups. The past decade has witnessed a dramatic resurgence of interest in this time-tested phenomenon, with researchers now focusing on understanding when, why, and for whom contact does (and does not) work. how status and power influence the effectiveness of contact. In addition to exploring methodological challenges facing contact researchers, attention is devoted to prejudice interventions that are rooted in our understanding of contact effects. These range from zero-acquaintance contact to intimate cross-group friendships, and even involve simulated contact experiences. 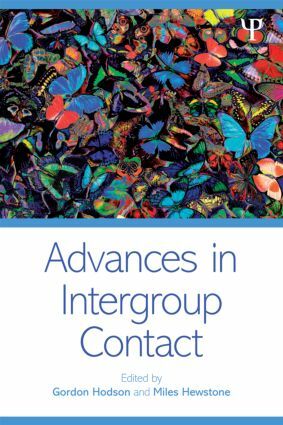 This volume draws together world-renowned experts in prejudice and intergroup contact to provide a long-awaited update on the state of affairs in intergroup contact research. As well as synthesizing and integrating the key topics, it also provides possible new directions for future research. Given the prominence of contact as a powerful prejudice-reduction tool, this book is a must-read for students and scholars of social psychology and sociology, as well as policy-makers and practitioners.